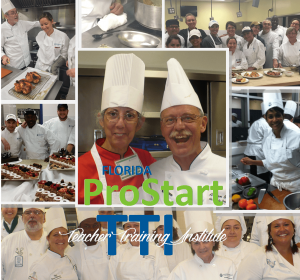 REGISTER NOW for ProStart Teacher Training Institute! The 22nd Annual ProStart Teacher Training Institute will take place June 17-22, 2018. The week-long training provides Florida ProStart instructors with the knowledge necessary to teach the ProStart curriculum. Each day’s learning is built around topics covered in the ProStart curriculum. The FRLAEF will cover the cost of all Florida ProStart instructors who will be teaching the ProStart curriculum during the 2018-2019 school year. Attendees will be responsible for their travel and some meals. CLICK HERE to register. Registration closes May 4, 2018. 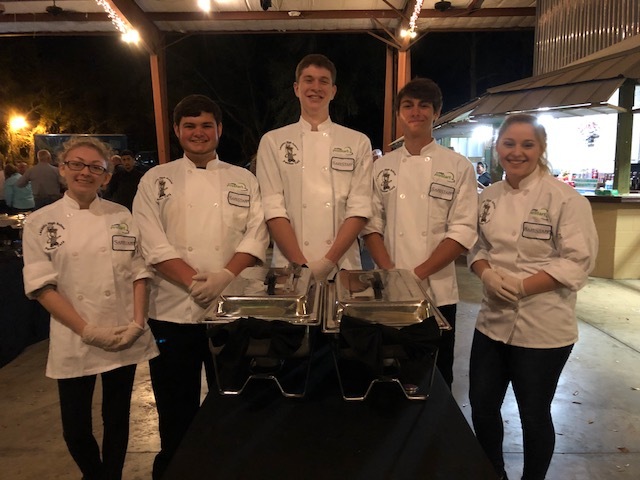 For several years, the Texas Cattle Company has offered one-time employment to ProStart students at their catering events all over the state. The FRLAEF received the following from Suzanne Sheffield, ProStart teacher at Lecanto High School. The National Restaurant Association Education Foundation (NRAEF) has launched a new video series where chef and restaurateur Guy Fieri and celebrity chef Carla Hall offer the ProStart community tips on how to compete and insights on where they see the restaurant industry headed. Be sure to check out the first video here and see below for a taste of what Guy and Carla had to say. In case you missed it, the video from the 2018 ProStart competition is below. If you would like to bring a team to competition next year, the video is a great way to see what the competition looks like. The NRAEF held a webinar last month with information about the new 2nd Edition Foundations textbooks. If you were unable to participate, use the link below to watch it. The 2nd edition of Foundations of Restaurant Management & Culinary Arts is now available for purchase. To learn more about the second edition, access select resources or to make a purchase, go to https://textbooks.restaurant.org. o Table of Contents with Learning Objectives for Level 1 and Level 2 can be downloaded here. o Quotes can be created online. o *If your organization is tax exempt, please provide your tax exempt ID form. Otherwise, tax will be charged at the rate consistent with the zip code of the shipping address. o Submit Requests for demo eBook access keys or demos through textbooks@restaurant.org. o Purchase orders can be submitted to: purchaseorders@restaurant.org. o Request for exchanging 1st edition exams to 2nd edition exams should be sent via email with the Subject “Exam Exchange” to textbooks@restaurant.org for processing. CLICK HERE to see almost 40 ProStart Videos. The videos range from making Mother Sauces to how to fabricate a sheep! CLICK HERE for a dropbox full of ProStart curriculum resources from a former ProStart teacher in North Carolina. As of this date, ServSafe is not offering the 7th ed. Instructor Resources for purchase. If you are a registered ServSafe Dual Role Instructor/Proctor, you can access the Instructor Resources for free HERE. If you took a ServSafe test with the FRLAEF at any point, you took the INSTRUCTOR version, so you are eligible to register as a DUAL Role Instructor/Proctor. The FRLAEF will distribute over $25,000 worth of free ProStart Exam Scantrons to Premier and Full ProStart schools during the 2017-2018 school year. Once a school has turned in their ProStart Classification paperwork, email Amy Parker to let her know how many ProStart Exam Scantrons you need. Requests are filled on a first-come, first-served basis.